According to preliminary results with 93 per cent of votes counted, National Election Office data projected Fidesz to win 133 seats, a tight two-thirds majority in the 199-seat parliament. Nationalist Jobbik was projected to win 26 seats, while the Socialists were projected as third with 20 lawmakers. That means Orban could have a two-thirds majority for the third time, and powers to change constitutional laws. The EU has struggled to respond as Orban’s government has, in the view of its critics, used its two landslide victories in 2010 and 2014 to erode democratic checks and balances. 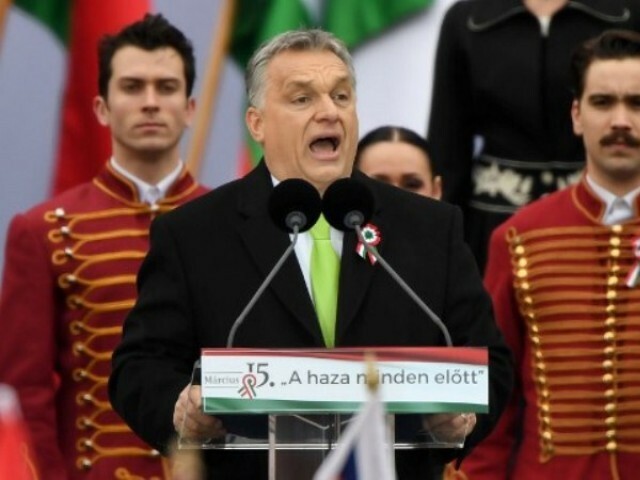 The victory could embolden Orban to put more muscle into a Central European alliance against the European Union’s migration policies. Orban, Hungary’s longest-serving post-communist premier, opposes deeper integration of the bloc and – teaming up with Poland – has been a fierce critique of Brussels’ policies. “Great and clear victory for Viktor Orban in Hungary: reversal of values and mass immigration as promoted by the EU are rejected again. Nationalists could win a majority in Europe at the next European elections in 2019,” Le Pen tweeted. The election produced a turnout of around 70 per cent, exceeding the past three votes. With his firm grip on state media and his business allies in control of regional newspapers, Orban’s message was amplified in the countryside. There, many people only watch the state television news channel, which has shown immigrants causing trouble in western European cities night after night. Jobbik’s leader Gabor Vona said he would tender his resignation after the defeat. Critics say Orban has put Hungary on an increasingly authoritarian path and his stance on immigration has fuelled xenophobia. Orban’s strong win could boost other right-wing nationalists in Central Europe, in Poland and in neighbouring Austria, and expose cracks in the 28-nation EU.